Domestic-brand retail sales rose 9 percent to 7,003 in October, AutoNation said today. 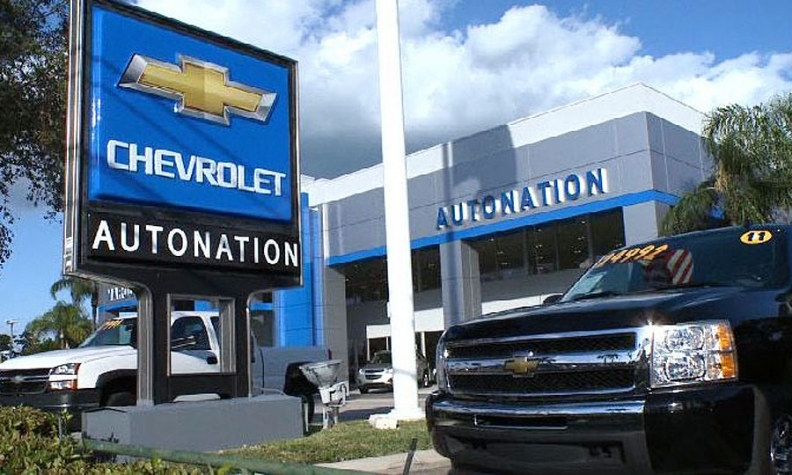 AutoNation’s new-vehicle retail sales fell 6 percent in November compared with a year earlier to 25,555 vehicles, a drop driven in part by there being two fewer selling days last month. New import sales fell the most of any segment, declining 8 percent to 11,884 vehicles compared with November 2014, the largest U.S. automotive retailer said in a statement today. Domestic sales dropped 4 percent to 7,696 vehicles compared with a year earlier, while premium luxury vehicles fell 3 percent to 5,975 vehicles. Same-store sales fell 7 percent in November compared with a year earlier, AutoNation said. AutoNation’s figures lagged behind those of the industry as a whole, which saw new-vehicle sales in the U.S. rise 1.2 percent to just over 1.3 million vehicles. The company said it had three fewer selling days last month, but the industry as a whole reported two fewer days. AutoNation also said it has agreed to acquire Renton Honda in Renton, Wash., near Seattle. The dealership, which brings in annual revenue of about $70 million, would join 27 other AutoNation dealerships in the Seattle market. The deal is expected to be completed by the end of the year, pending manufacturer approval and other conditions.